Madison, Wis. (September 17, 2015) – Londa and Walter Dewey received the 2015 United Way of Dane County Tocqueville Society Award on September 17. The award was part of the Tocqueville Society’s annual membership reception at The Edgewater Hotel. The event was sponsored by Johnson Bank and Baker Tilly. 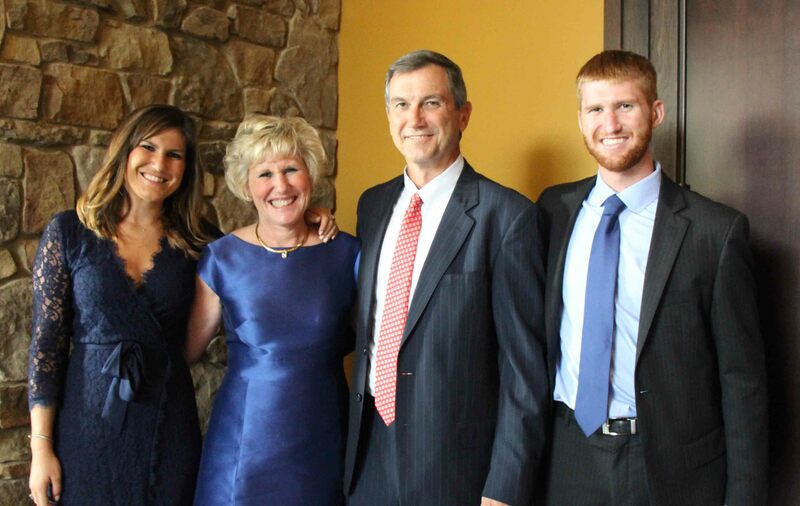 The Deweys began their involvement with United Way in 1982, when Londa was named a Loaned Executive in the first year of the full-time program. Since then, Londa has served in nearly every leadership role at United Way including Campaign Chair, Board of Directors and Foundation Board. She was the second woman to lead a Campaign, raising more than $10.75 million in 1999. The Deweys joined Tocqueville Society in 1999. The couple is instrumental in leading United Way’s Lasting Impact Campaign for the United Way Foundation. Londa and Walter are dedicated to achieving $10 million in net assets and $10 million in expectancies for United Way by the end of 2015. Londa serves as President at QTI Group, while Walter works at Madison Investment Advisors. They are the proud parents of daughter Kristin and son Carlton. United Way’s Tocqueville Society acknowledges exemplary leadership in philanthropy. The Society is named after Alexis de Tocqueville, the French citizen who traveled the United States and wrote about his observations of the American spirit of community in Democracy of America, published in 1835. Tocqueville Society began in Dane County in 1990 with six families. As members celebrate the Society’s 25th anniversary, more than 225 Dane County families are investing to positively impact lives today. If you would like to learn more about United Way’s Lasting Impact Campaign, please contact Kristi Shepard at kristi.shepard@uwdc.org or (608) 246-4399. If you would like to learn more about leadership giving opportunities, please contact Mark Greene at mark.greene@uwdc.org or (608) 246-5480.